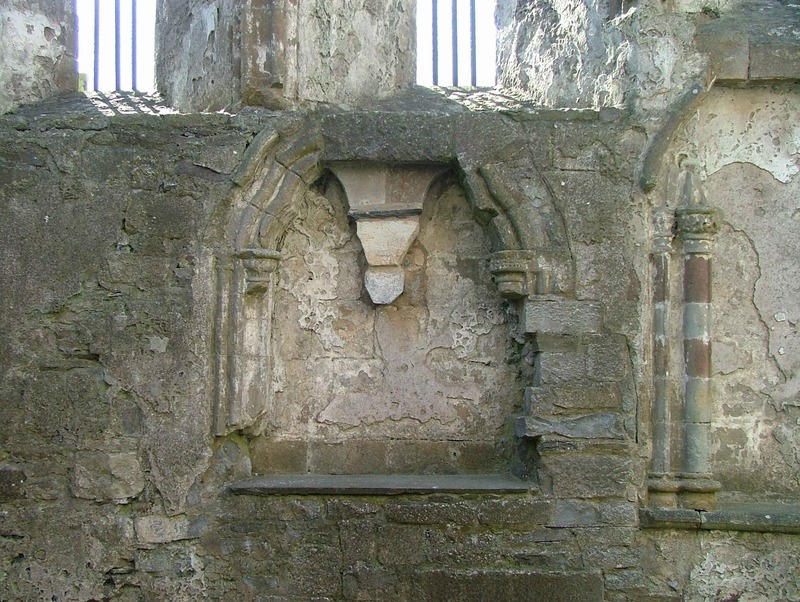 “St Patrick's Cathedral, Cashel, Co Tipperary, interior - choir, south elevation, niche (detail),” Gothic Past, accessed April 20, 2019, http://gothicpast.com/items/show/1443. Photograph by Roger Stalley. Detail of south elevation of choir showing double trefoil headed niche (piscina?) surmounted by two lancet windows. Filleted shafts support capitals treated with stiff - leaf foliage. An adjacent larger niche is also partially visible showing polychromatic filleted shafts and stiff - leaf foliage capitals on water - holding bases resting on a stringcourse.